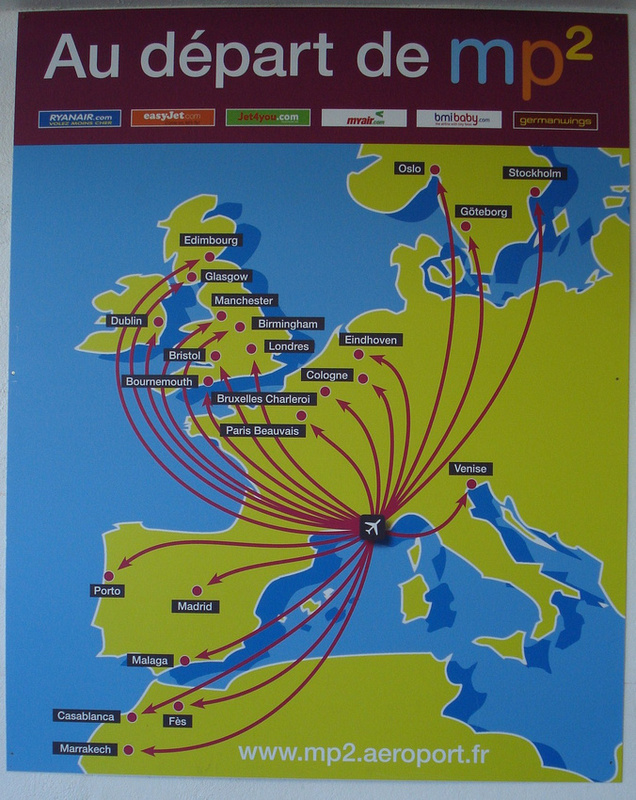 When I’m in Europe I always look at the Ryanair map and see if there are any airports near where I’m going to be. It’s a fun map to play with because they have so many destination airports. I had not heard of Nador before booking this flight. I figured that it looked close enough to Fes, which is where I was ending my travels in Morocco. 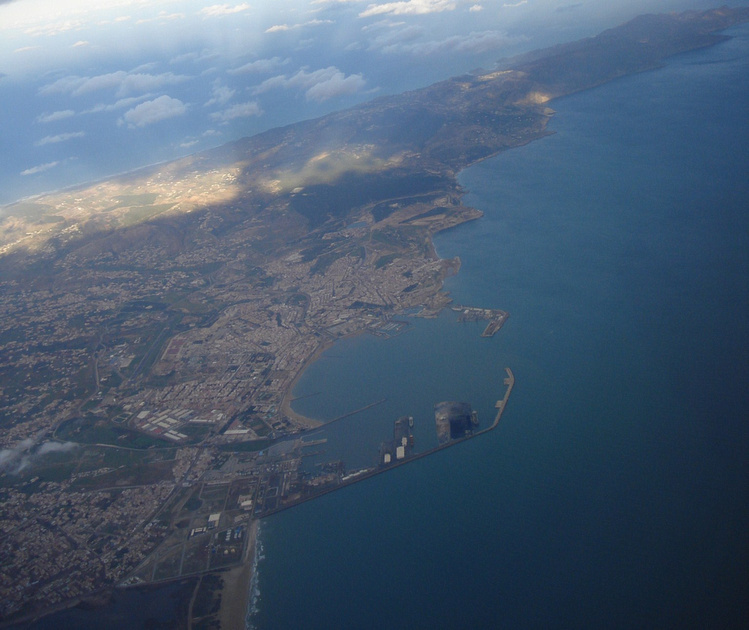 Nador is also near the border of the Spanish enclave of Melilla. 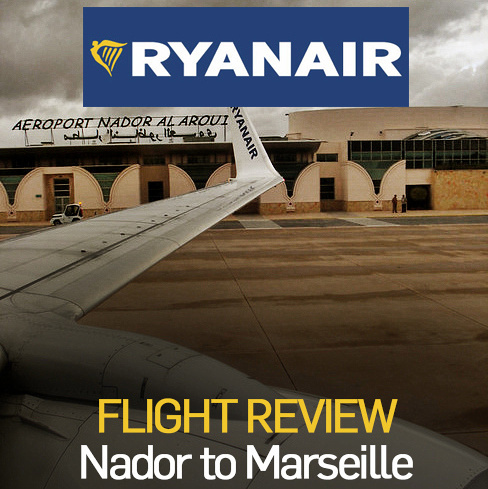 Ryanair fly from Nador to Marseille, France. 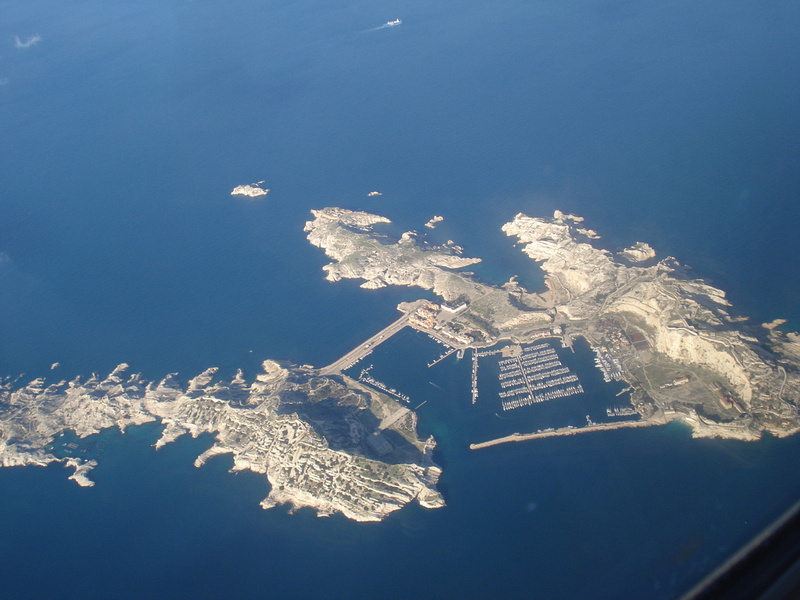 I had never been to Marseille and it was close to my next destination, so this was an easy flight choice. 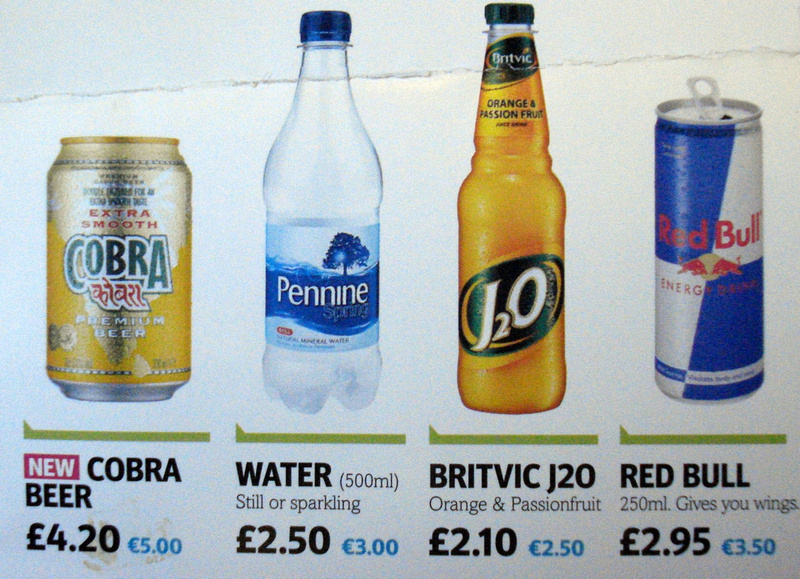 Still very cheap – asterisk or not – for a 2 hour flight. 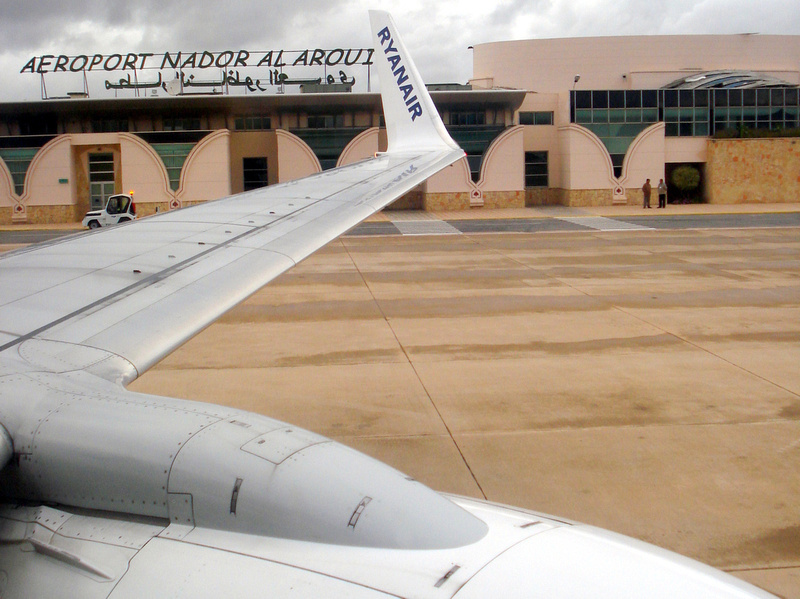 Nador airport is about 20 kms from Nador and there is no bus, so you can only get there by taxi. 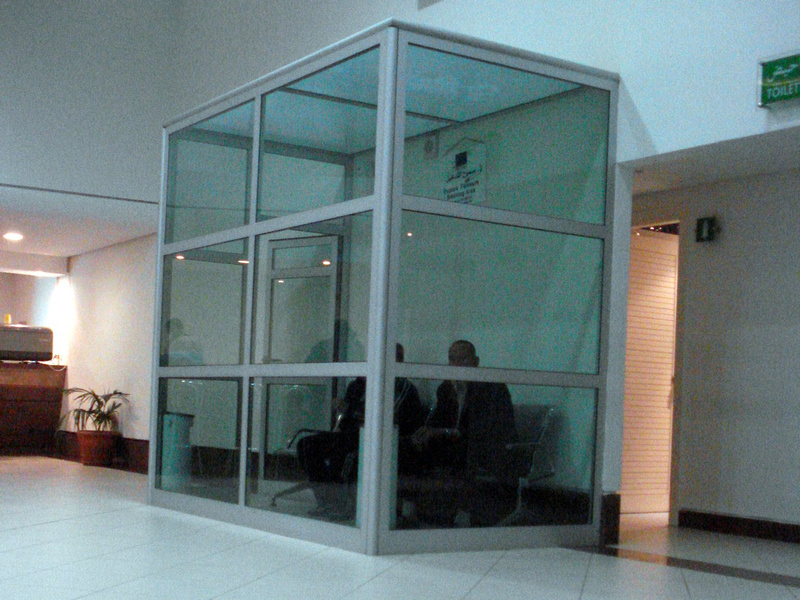 Smoking is something of a national hobby in Morocco so they have this smokers box for those that need it. 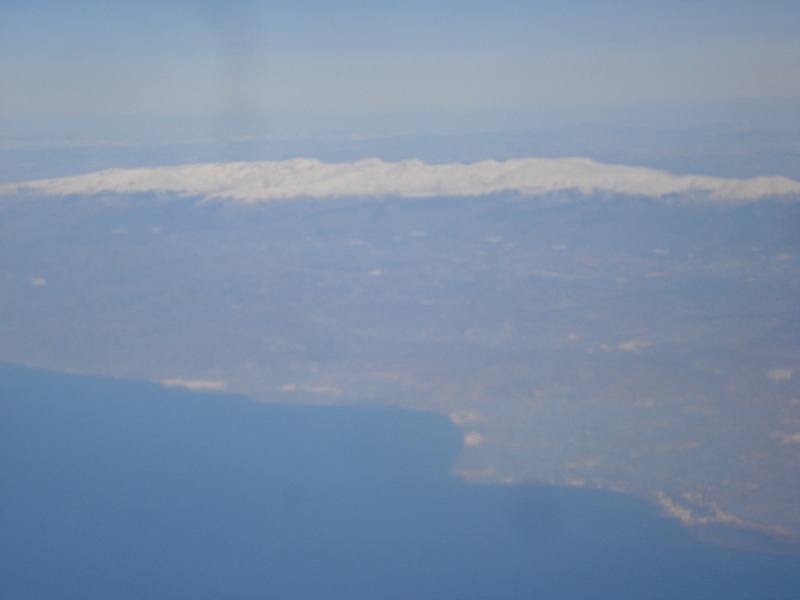 The flight departed on time and it was goodbye to Morocco, until next time. 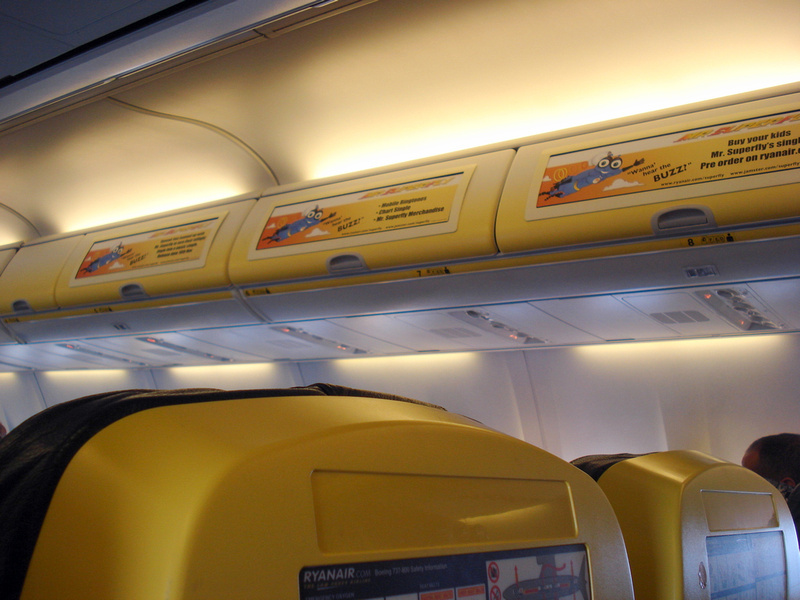 Ryanair have introduced in cabin advertising as a way of making more revenue. The overhead bins now offer advertising space. And how to recover selling tickets for free plus tax? Sell water for more than you buy fuel. I always try and get a window on short flights, and here are the identifiable landmarks that I spotted. 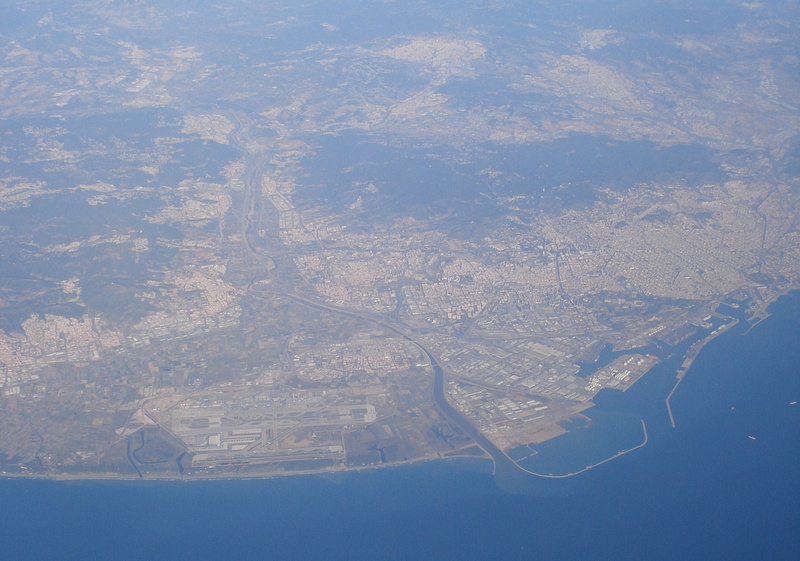 Marseille Provence Airport has a terminal for budget airlines, MP2. There is a bus that runs from the airport to central Marseille, for €8.50 (as at Nov 2008). Overall there were no problems with the service or times. The ads on the flight are cheesy but I consider this a flying bus, so I can’t complain given how cheap the flight was. I search for cheap flights with Skyscanner, which includes Ryanair in their search results (not all flight search sights do). Let me tell you this site is awesome.